HFCS-55 is a form of high fructose corn syrup that contains 55% fructose. It is produced from corn starch. It is the most commonly used of the three formulations. It is added to most sodas instead of sugar in the United States. It is about 25% sweeter than sugar, which means that less of it is needed. Over the past 30 years high fructose corn syrup has replaced sugar as the sweetener in soft drinks. In Japan it represents approx 25% of the sweeteners and in the EU it is hardly used at all. Because of subsidies and tariffs it is approx half the price of sugar in the USA, though the real cost of producing it is probably similar to sugar. 1. It is a very economic sweetener, about half the price of sugar. 2. It tastes just like sugar. 3. It browns when heated and can provide color in baked foods. 5. It thickens and stabilizes processed food. 6. It prolongs shelf life. For the consumer, none. For the producer of sodas, processed foods etc it is cheaper than sugar. 1. Ordinary sugar is made up of glucose and fructose linked by a bond called a glycosidic linkage. During digestion it is broken down into its component parts in a process called hydrolysis by the enzyme sucrase. This process is not required with HFCS as the sugars already free and unbound. This seems to effect the way the body reacts to it. 2. Sugar is 50% glucose and 50% fructose. This means that every potentially harmful molecule of fructose is paired with a molecule of glucose. For some reason this seems to somewhat negate the harmful effects of fructose. Most HFCS added to drinks and foods in the US is HFCS-55. It contains 55% fructose, 41% glucose and 4% other sugars. This means it has 14% fructose unpaired with any glucose, and this is significant. Any amount of fructose in this form is too much. Fructose consumption does not cause an insulin response, as other types of sugars would. This may have a profound effect on appetite and may lead to overeating. Tests carried out by Princeton researchers on rodents showed a very significant difference between the addition of sugar or hfcs in the diet. The rats fed the hfcs seemed to develop an insatiable appetite and grew fat on their regular food. This did not happen with ordinary sugar. And the rates of obesity and metabolic syndrome in the USA have soared in the last 30 years since the introduction of HFCS. The super size portions now popular at the fast food chains could be a direct result of increased appetite caused by the consumption of HFCS-55. It is produced from corn starch that has undergone an enzymatic process. Not sold on it's own, it is added to products such as soft drinks and biscuits. HFCS was invented in the 1950s but first produced commercially in the 1970s. There are three major mixes: HFSC-42, HFCS-55 and HFCS-90. HFCS-55 is the most commonly used formulation and it is made by adding HFCS-90 to HFSC-42 to bring it up to the required sweetness level. When high fructose corn syrup hit the market its producers must have felt they had chosen a good name for their product, fructose was popular back then. Now,no doubt, they very much regret that choice. 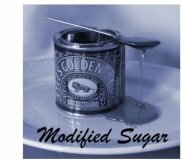 Recently, The Corn Refiners Association have applied for permission to change the the name to 'corn sugar' on food labels. Don't be too surprised if they get approval to do this, but don't be fooled either, it will be the same harmful product. Avoid it. Avoid all types of high fructose corn syrup. They have been linked to a host of problems including obesity, metabolic syndrome, gout, high blood pressure and heart disease.